Die Mennonitische Rundschau was first published on June 5, 1880, by the Mennonite Publishing Company in Elkhart, Indiana, as the successor to the Nebraska Ansiedler (1878–1880). The paper was created in order to serve the newly established Russian Mennonite communities in the prairie regions of the United States and Canada. In 1883, the paper increased its circulation to include Europe and Asia. This allowed Mennonites across the world to correspond with one another, keeping families, friends and churches in contact with one another across great distances. In an era where long distance communication was difficult, the Rundschau became a primary means of sharing information and passing on encouragement. Publication of the Rundschau moved to the Mennonite Publishing House in Scottdale, Pennsylvania in 1908 and then to the Rundschau Publishing House in Winnipeg, Manitoba in 1923. In 1940, the Rundschau Publishing House changed its name to Christian Press, and in 1945, the operation was purchased by the Mennonite Brethren church. The Mennonitische Rundschau was accepted as the official German language publication of the Canadian Conference of Mennonite churches in 1960, falling under the authority of the Publication Committee (later named the Board of Publications). When the Board of Publications was dissolved in 1989, the paper became part of the Board of Faith and Life until 1994, when it was moved under the Board of Communications. When the Board of Communications was dissolved in 2002, the Mennonitische Rundschau became the responsibility of the Board of Discipleship Ministries. When the conference restructured in 2004, the Board of Discipleship Ministries was also dissolved, and the Rundshcau was placed under the jurisdiction of the Communications department. The paper continued to be an important organ of communication until 2006, when it's readership fell below 1,500. The last issue of Die Mennonitische Rundschau was printed in January, 2007. This series belongs to the Publications sous-fonds and the Canadian Conference of Mennonite Brethren churches fonds. It contains the correspondence and office files of the Mennonitische Rundschau. Additional reports and correspondence can be found under the boards to which the Mennonitische Rundschau reported to: Board of Publications (1962–1989), Board of Faith and Life (1989–1994), Board of Communications (1994–2002), Board of Discipleship Ministries (2002–2004/05), Communications (2004/05–2007). For a listing of the CMBS collection of Die Mennonitische Rundschau along with searchable indices, click here. Records have been transferred to the Centre for Mennonite Brethren Studies on a regular basis. For further material see: Board of Publications series; Board of Faith and Life series; Board of Discipleship Ministries series; Communications series. 1. 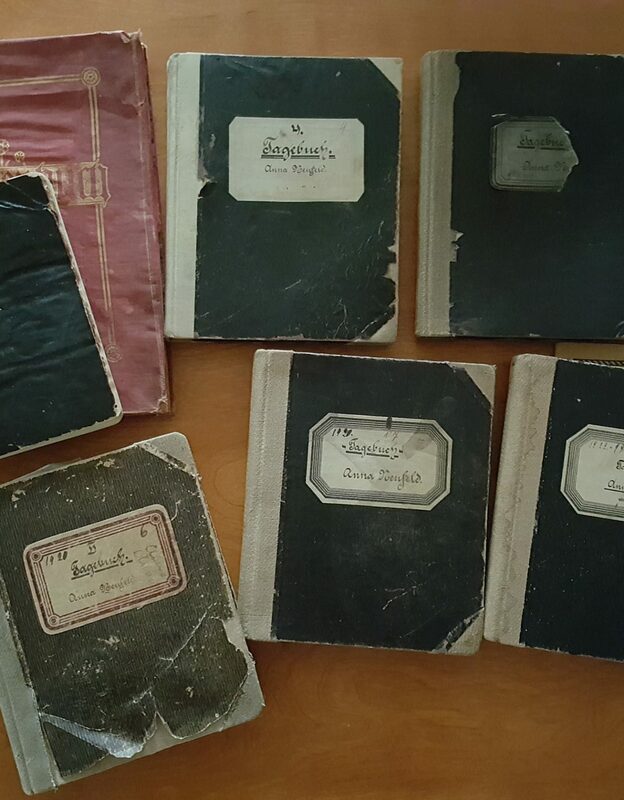 Compiled history of the Mennonitische Rundschau. -- n.d.
2. Mennonitische Rundschau research file: historical. -- [19--]. 3. Mennonitische Rundschau Correspondence. -- 1967–1970. 4. Mennonitische Rundschau South American Mailing List. -- [197-]. 5. Mennonitische Rundschau Correspondence. -- 1971–1972. 6. Mennonitische Rundschau Correspondence. -- 1973–1975. 7. Mennonitische Rundschau Correspondence. -- 1976. 8. Mennonitische Rundschau Correspondence. -- 1977. 9. Mennonitische Rundschau Correspondence. -- 1978. 10. Mennonitische Rundschau Office Guest Book. -- 1963–1967. 11. Mennonitische Rundschau Office Guest Book. -- 1968–1990. 12. Manuscript submission: “Geniesse deine Freiheit” = Enjoy Your Freedom. -- [198-?]. 13. Mennonitische Rundschau correspondence with subscription office in Brazil. -- 1985–1990. 14. Mennonitische Rundschau correspondence with subscription office in Argentina. -- 1986–1990. 15. Mennonitische Rundschau correspondence with subscription office Germany. -- 1987–1990. 16. Mennonitische Rundschau correspondence with subscription offices in Paraguay. -- 1987–1990. 17. Board of Faith and Life: Meetinghouse minutes, members, and correspondence. -- 1989–1993. 18. Board of Faith and Life: Mennonitische Rundschau minutes and reports. -- 1989–1994. 19. Board of Faith and Life: Menonitische Rundschau staff evaluations. -- 1990–1994. 20. Job Descriptions. -- 1991–2002. 21. MR Staff Meetings. -- 1994–1996. 22. Letters to the Editor. -- 1996–2000. 23. Mennonitische Rundschau Financial Statements. -- 1997–2005. 24. Mennonitische Rundschau manual. -- 1998. 25. Correspondence and reader appeals. -- 1998–2002. 26. Manuscript submission: “Unter Gottes Schutz” = The Life of a German-speaking Mennonite from Russia. -- [200-?]. 27. Manuscript submission: “Der Lebenslauf unserer Mutter” = The Life of our Mother. – [200-?]. 28. Manuscript submission: “Mein Erlebnis und Flucht aus Russland” = My life and flight from Russia. – [200-?]. 29. Manuscript submission: “My Life Story” - story of a woman in Germany during WWII. – [200-?]. 30. Fundraising/readership appeal responses. -- 2000–2001. 31. Manuscript submission: “Vaters letzte Gefangenschaft und das Wiedersehen im Norden” = story of a woman’s father’s captivity in Russia. -- 2001. 32. Letters to the editor. -- 2004–2006. 33. Mennonitische Rundschau Survey Results. -- 2006.